Le Chéíle Park – it’s YOUR park now! From 5pm today, Le Chéile Park will be open to the community of Askamore. It’s your park now – so come and enjoy it! We still have some work to finish which will be ready for the official opening and blessing on Friday July 26th. We really want people to use and enjoy the park and we have tried to keep rules and regulations to a minimum. 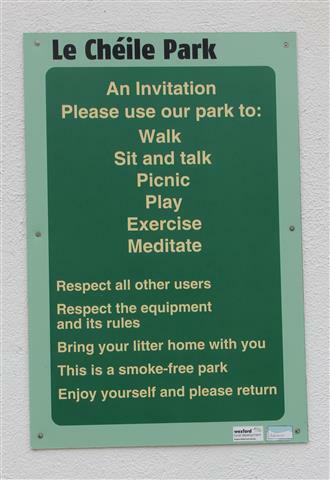 However, Askamore Community Council would like to emphasise that dogs are not allowed in the park, for everyone’s health and safety. Also, there are no rubbish bins – what you bring in, you bring home with you! Enjoy, and spread the word. 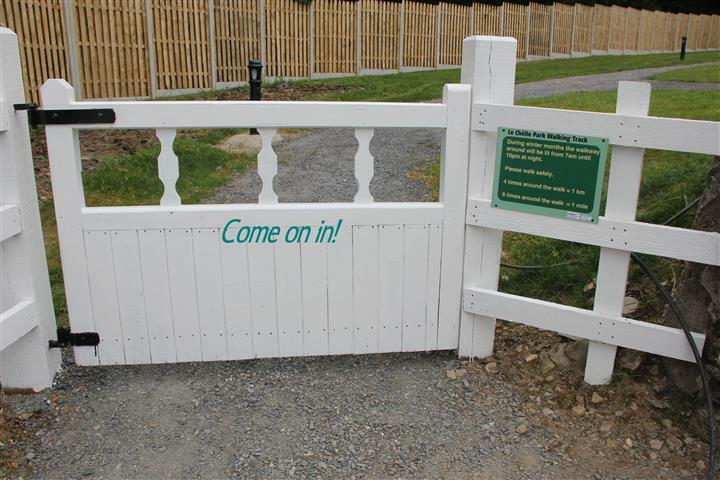 Come on in – the gate is open!